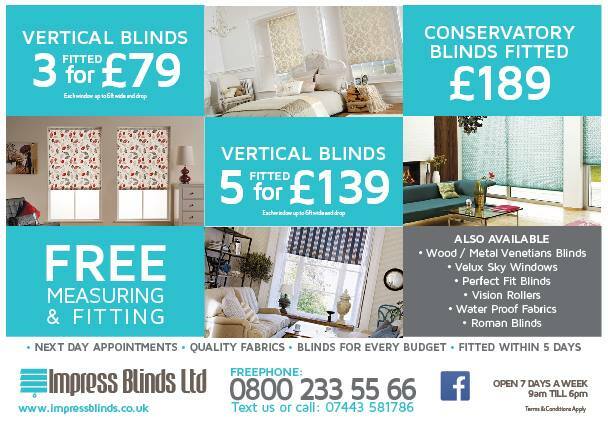 We Impress Blinds offer a comprehensive range of window blinds including roller blinds, wood blinds, Roman blinds, vertical blinds, metal venetian, vision blinds and much more. We have been delivering quality window covering solutions and services to both domestic and commercial clients in Rochdale and all over in UK. From selection of blinds to measuring and fitting, we guide and provide our customers with the best possible window covering solution. If you want to reduce the heat flow in your room and spruce up your old windows then window blindS is the best option for you. But only right blinds can do the double duty. So, explore our huge variety and discuss with us. Our experts will guide you and provide the best blind product that will be perfect for you. Our made to measure blinds are made to highest standard using British fabric and innovative techniques complying with the new regulations. The significant properties such as durability, eco friendly and child safe make them perfect for both residential and commercial premises. We offer quality and value to our clients and this is the reason we have a huge client base in Rochdale Greater Manchester and all over in UK.